Covering a diverse range of photographic subjects, the five-day Infocus conference, Iris Awards, and the various events that surrounded it offered education and inspiration in abundance — enough to get any photographer’s head and heart racing. 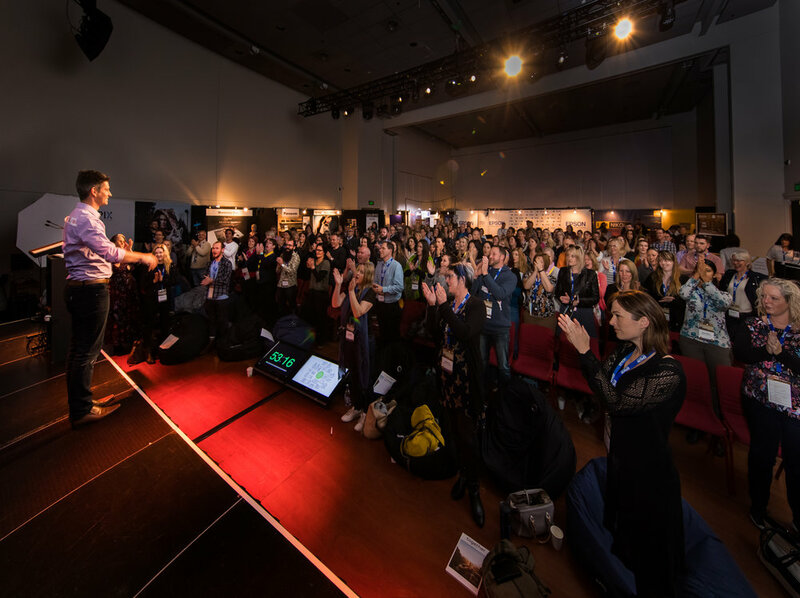 “This year’s event has been by far the most epic that [the] NZIPP has ever hosted, with our loyal sponsors supporting our vision in bringing to New Zealand a photographic event that was truly world class,” said Kaye Davis, NZIPP honours chairperson. Keynote speakers Lindsay Adler, Esther Bunning, Simon Devitt, Lisa Saad, Sharon Thompson, and Craig Wetjen, among others, dealt with a diverse range of photographic subjects throughout. The 2016 International Photographer of the Year, Lisa Saad, took attendees on an emotional journey back to where her award-winning The Anonymous Man series originated. Through a mix of spoken-word poetry and audiovisual sequences, Lisa explained the health concerns and heartache that led her to find solace in creating her layered, illustrative photographic works. A printed image produced by Lisa in Wellington during Infocus, entitled The Anonymous Man #34, also formed a stunning art piece in celebration of the event. A stand-out for many was a collaboration between New York fashion photographer Lindsay Adler and World of Wearable Art (WOW). Lindsay captured garments from the WOW collection in a creative fashion shoot in her hallmark clean, bold, and graphic style. Using the Canon 5D Mark IV, Profoto D2 kit, and a tripod, Lindsay’s demonstration culminated in still images and a cinematograph. A special event, Amber Griffin Does Ballet on Cable St, saw the 2016 Commercial Photographer of the Year and 2017 Commercial Category winner run through two live shoots using the Profoto B1X and high-speed airTTL. During her later presentation, Amber spoke on why she feels that establishing and dominating her niche within dance photography was the key to her success in the photographic industry. Emotional energy was heightened as Craig Wetjen shared his ongoing photographic project and book Men and Their Sheds. By being invited into the sheds — and, equally, the lives — of men throughout Australia, Craig’s images provide an intimate, often entertaining, insight into the issues that primarily affect men. Sharon Thompson’s presentation was equally powerful; a documentary photographer by trade, she shared her stillbirth photography and spoke on turning tough times into triumph, fears into fortitude, and how to put your heart back into your art. Photographers left Wellington with notebooks filled and blood pumping, yet the NZIPP said that next year’s Infocus is set to be bigger and better than ever, with preparations already underway. There’ll be “another must-attend event in July, 2018,” said Kaye.